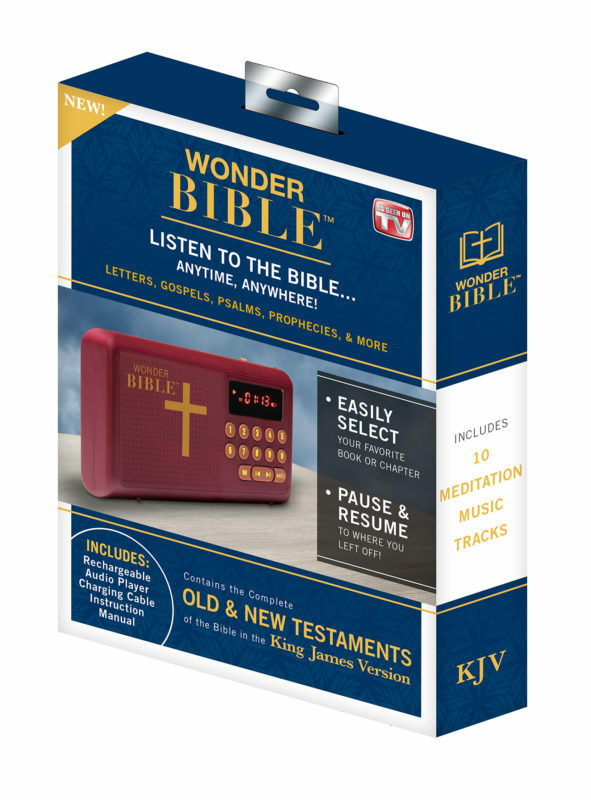 WONDER BIBLE™ Audio Player is the Bible that speaks to you! WONDER BIBLE™ is compact, lightweight, and contains the entire Old and New Testaments in the King James Version. It also includes 10 Meditation Music Tracks. Now you can hear the spoken Word of God anytime and anywhere! Includes: Audio Player and charging cable. Makes a great gift for a friend or loved one, and is perfect for kids and adults of all ages. Now available! THE CHILDREN’S WONDER BIBLE™ (stories and songs!) & LA-REINA VALERIA WONDER BIBLE™ (all recordings in Spanish! ).